This morning, I got caught red-handed again with an agenda. With extra work recently, I haven't been spending as much time outside as I'd like, especially since it's my favorite time of year. To celebrate fall equinox today, I got up extra early to do my morning routine and have enough time to go for a little hike before my 9:30 client. Everything was going according to plan until it started to pour down rain; which incidentally is another one of my main things, especially in the desert, but not today. I abandoned my plan and sat down with Nature Speak, a great resource on all things Autumn. 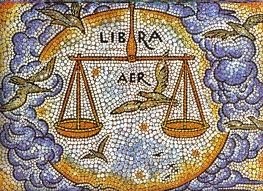 There's a section in there on the Angels of Libra who "...assist us during this month to awaken intuitive perception as to how best to balance our life...They awaken the search for balance." Oh Angels of Libra, you're so right: what I really need right now is less go-go-go and more time at home. Thank you, dear ones.